As I work on paintings, they get working titles. This gives me something to file them under besides “current painting”. Sometimes the titles stick, and sometimes they don’t. 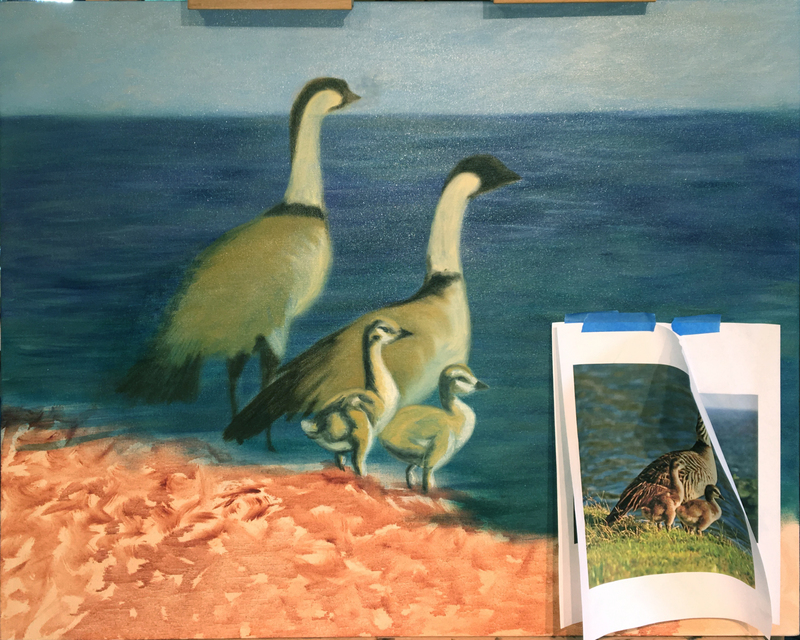 This painting is about a family of Nene with the father looking out to sea while the mother keeps an eye on the observer. The babies mimic their parents’ poses. I’m still roughing in the basic colors of the painting, so please be patient with me. Often I combine elements of different photographs to create the vision I’m looking for. Previous post: What do you get for the person that has everything? Next post: Finish or Not?